THIS STATION IS DEDICATED TO CARRYING ON THE LEGACY OF FALLEN WEST COAST SOLDIERS SUCH AS 2PAC, MAC DRE, THE JACKA AND MANY MORE. WE ALSO WANT TO PROVIDE A LANE TO CONTINUE TO ADVANCE THE CULTURE OF WEST COAST HIP HOP, AND GIVE OPPORTUNITIES FOR UP & COMING ARTISTS TO BE HEARD. WE PAYOUT ROYALTIES FOR ARTIST SPINS. ARTISTS MUST REGISTER MUSIC WITH SOUNDEXCHANGE. 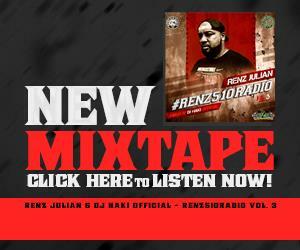 ​ITS HOSTED BY BAY AREA ARTIST/PRODUCER RENZ JULIAN, MIXES FROM DJ HAKI OFFICIAL, BROUGHT TO YOU BY FIELD OF DREAMZ ENTERTAINMENT LLC. BAY AREA/WEST COAST ARTISTS SEND MUSIC TO 510FODENT@GMAIL.COM FOR AIRPLAY CONSIDERATION.